Today’s the day! The official release date of Lautaro’s Spear. Thanks to everyone who encouraged me to write it and, especially, to those who actively supported me in writing it. Also, thanks to those of you who will read the book. I hope you enjoy it. Also, happy birthday to the love of my life, who happens to be a member of at least two of the three aforementioned groups. Wherever you are in the world or however you want to read the book, you should find, on the right-hand side of this page, a link to a suitable online seller—or at least enough info to track one down. As promised, I am sharing with you my Spotify playlist containing much of the music I listened to while writing the book. There are several songs by Train. I definitely think Train should be the official house band of Lautaro’s Spear. I have ordered the songs so as to attempt matching the sequence of events in the book’s narrative. I have not, however, timed them to any person’s reading speed, so I do not know how it would work out to listen to the list while reading the book. I did happen to notice that the Kobo website helpfully estimates the amount of time it should take to read the book, and for Lautaro’s Spear it comes up with eight to nine hours. So I may need a longer playlist. By the way, if you are a filmmaker looking for a book to adapt, the playlist should definitely give you some ideas for the soundtrack to Lautaro’s Spear: The Movie. The official release date for Lautaro’s Spear is tomorrow (Friday the 29th), but it is already possible to get a hold of a digital copy. Unlike the people who print the paperback version, many of the folks who sell the e-book editions make them available as soon as they have the files and have vetted them. That means, as far as I can tell at the moment anyway, you can go your regional Amazon web site right now and download the Kindle version. The same is true of the Barnes & Noble Nook e-book and the Kobo e-book. It is also available for purchase at Google Play and at Apple iBooks, but those sites appear to be holding the actual downloads until tomorrow. Yes! Apple iBooks! If you have been reading this blog from the get-go, then you may recall I have had something of a fraught relationship with iBooks borne of their requirement of uploading files from a Mac computer paired with my lack of such a computer. 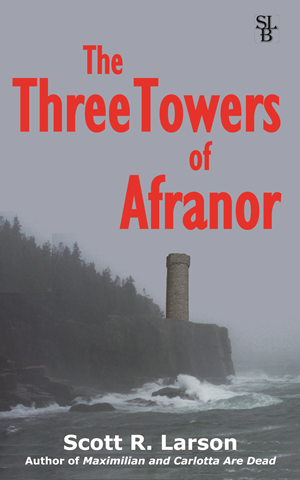 Fortunately, since the release of my previous book (The Three Towers of Afranor) I have taught myself an alternate geeky way of uploading the files from a non-Apple machine, and I am amazed to see that it still works. This is a personal triumph for me that makes me way happier than it probably should. Still, I am delighted that the book is available to users of Apple devices at the same time as everybody else. In fact, I am delighted that all versions of the book seem to be out there on the official release date, if not a little earlier in some cases. The paperback version is available for pre-order from Amazon, Barnes & Noble, and Books-a-Million. Other online sellers out there should have it available soon if not already. I encourage you to purchase from whichever seller you prefer, and I have no particular preference for one over the others. Having said that, I will point that, when I last looked anyway, Barnes & Noble and Books-a-Million were selling the paperback at rather attractive discounts. As always, all of the relevant links to sellers of all my books can be found on the right-hand side of this page. 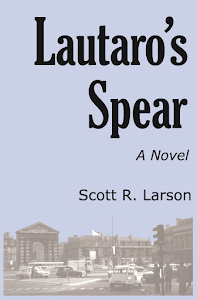 Hey, I just noticed that the paperback version of Lautaro’s Spear is available for pre-order on Amazon’s US site. You can see for yourself by clicking on this here link right here. That’s pretty exciting—for me anyway. No matter how many times I go through this, it is still a bit of a thrill to see a new title of mine show up on a real, live, reputable web site. Also pretty exciting is the fact that I got my own copies of the paperback into my hands yesterday. I must be getting good at this writing/publishing stuff because usually I do not get my own copies until some time after they’re available from the sellers. Over the next while, the paperback should also be showing up on the web sites of other sellers, as well as Amazon’s other sites around the world. As for the digital versions (Kindle, Nook, Kobo, iBooks), they should start showing up sometime around the end of the week. I will do my best to put up links to all the various sites, as they go live, on this page. Just keep an eye on the right-hand side of the page. I hope you will want to read the book and, when you read it, I hope you will enjoy it. As always, I did my best to write the sort of book I myself would enjoy reading. Hopefully, readers will be entertained, maybe learn something, and perhaps even find bits of it thought-provoking. I have also done my best to give you as many choices as possible to acquire your own copy. It does not matter to me how you acquire it, although I suppose I should, on general principle, encourage you to acquire it legally. Beyond that, do whatever is most efficient and/or cost-effective for you. If you want to ask your local independent bookstore to order the paperback for you, that’s great. If you prefer to download the Kindle version from Amazon because it is extremely fast and convenient (and experience suggests that is what most of you will do), that’s fine too. Having said that, I will point out one particular deal that, as far as I know, is unique to Amazon. If you want to have the book in both paper and digital versions, the cheapest way—again, as far as I know—is to order the paperback from Amazon. Once you have done that, you can get the Kindle version for next to nothing. If you do not need to have two different versions, then you will have plenty of other choices. Knock yourself out. Yes, it’s official! The marketing copy (see above) has been provided to the printer and other entities in the book distribution process. The official release of my third book is on the calendar. The new novel is called Lautaro’s Spear, and it should begin to be available in paperback and digital formats from the 29th of September. The grinding wait is at last over. Okay, I know what is going through your mind. You have two burning questions: 1) who the heck is this Lautaro guy, and 2) what on earth is he going to do with that spear? The short answer is that Lautaro was a real person and he has just as much to do with my third book as Emperor Maximilian and Empress Carlotta had to do with my first book. If you are not familiar with Lautaro and would like to know who he was, use a search engine. You’re on line anyway, so it should be no big deal. Go ahead, I’ll wait. Anyway, while Lautaro is certainly referenced in the book, it is not actually about him, so do not expect it by any means to give you an exhaustive biography of him. 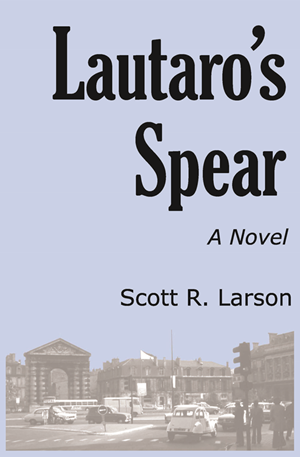 More relevantly, Lautaro’s Spear is the novel that some people insisted I write because they wanted to know what happened next to Dallas Green. The good news for me is that David Lynch and Mark Frost have seriously lowered the bar for granting fans closure when it comes to sequels. I can honestly promise you that, when you reach the end of this novel, you will have far fewer frustrating questions about Dallas’s fate than you probably have about any of the various characters in Twin Peaks. Having said that, I suppose truth in advertising compels me to advise you that the first comment from the first beta readers was that they were anxious to read the next installment. 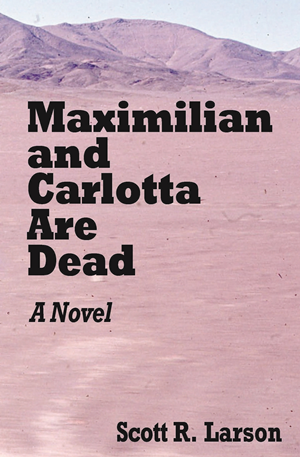 As I have written here before, I had actually felt that Maximilian and Carlotta Are Dead ended on satisfactorily resolved note, and I was kind of surprised when people kept telling me the story needed to be continued. I feel more or less the same way about Lautaro’s Spear. I would be perfectly happy to leave the story where that book ends, but this time I know better. Also, a wish for a third installment also came from my wife, who has not yet actually read Lautaro’s Spear but who likes books to come in sets of three. So, unless I get a lot of people telling me, please, no, just let the story rest where it is now and do not bother us with more details of Dallas’s wayward life, I will be writing another sequel. With the book at last ready to be set free, I now have time and motivation for spending more time on this blog, so watch here for details, thoughts, information and, most importantly, links to where you can acquire the paper and/or digital versions from the various major online booksellers.